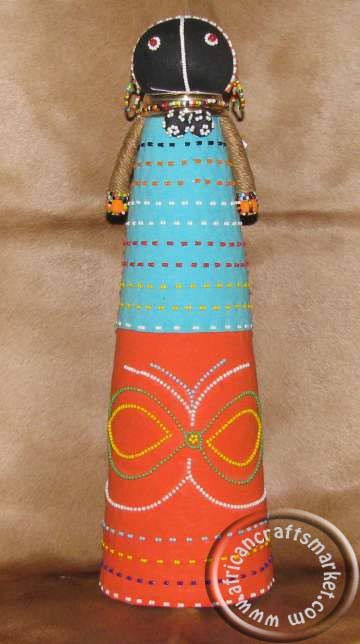 African Ceremonial Ndebele doll that are handmade from African design fabric material and hundreds of African traditional beads. 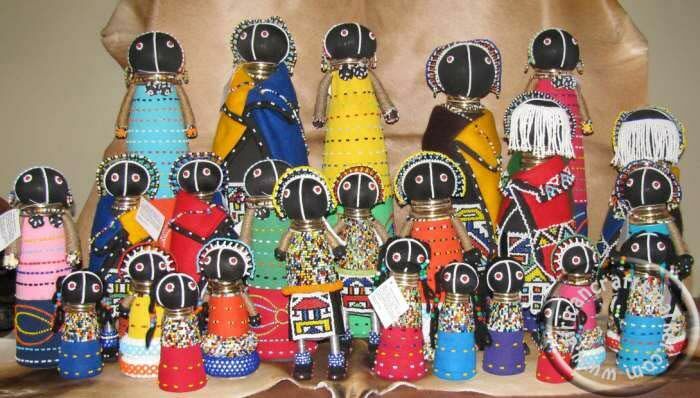 The Ndebele Ceremonial doll which is native to the Ndebele tribe is made in a variety of patterns and colors, this is what makes the doll so unique -no two are the same. Around the neck of the Ndebele doll is gold rings that are used by the Ndebele tribe to stretch their necks. This doll is a must have for the tribal collector. 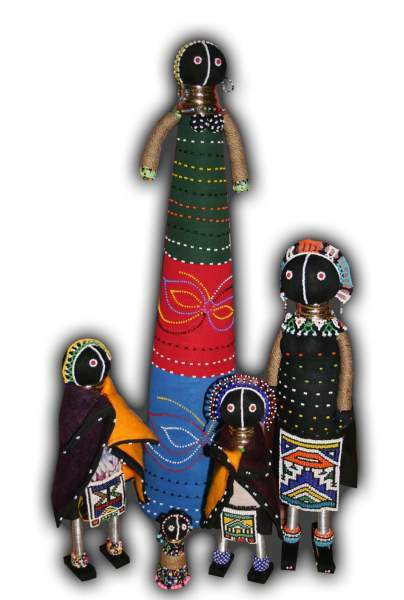 These Ceremonial dolls are coned shaped and without feet.